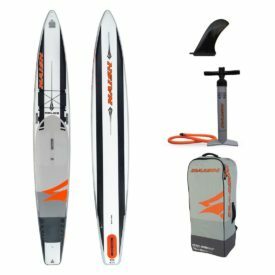 The Naish 2020 inflatable stand up paddle boards have created a bit of buzz recently. Naish have long been at the forefront of windsurf, kitesurf and SUP technologies and developments, so when they announced their 2020 range so early in 2019 (and quickly superceeding their 2019 range) everyone sat up and took notice. 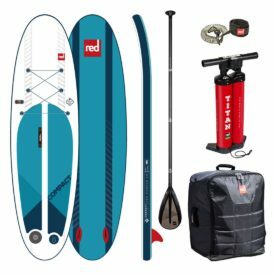 Reuben at SUPboarder got his hands on the 2020 Naish Maliko 14′ x 27″ and the 2020 Glide 14′ x 30″ for a closer look. 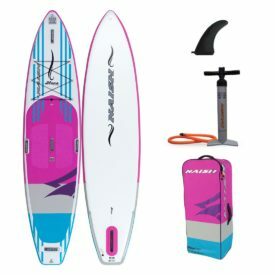 See the full range of 2020 Naish inflatable paddle boards available now. Hey everybody, welcome back to another SUPboarder comparison video. 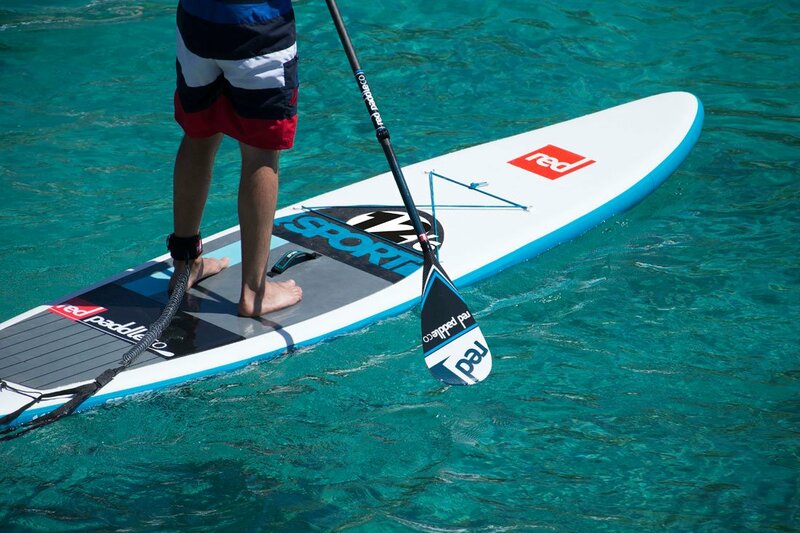 In this SUPboarder video we’re going to be looking at the new Naish Maliko and Glide 14′. Really big changes for Naish this year and it’s really worth mentioning their new designer Damien Girardin, who’s really pushing Naish to the new level this year. Naish have been making iSUPs for many years, but to be honest, they were almost getting a little bit left behind with some of the technologies and materials that were going into these boards. But not these new boards, these new 2019 boards are leaps and bounds further ahead than any other iSUP they’ve produced and many other iSUPs that are on the market at the moment. Now before we get into this video, I’m going to remind you to check out the new SUPboarder website where you’ll find loads of great SUP content obviously, but also it has loads more information about the boards; there’s slider ratings and there’s also a readers survey which is really important, you can take part in even if you haven’t used these boards before. It’s really important that we hear what you think about the boards, and also then we can feed that information back to the brands to improve the boards for the following years to come. 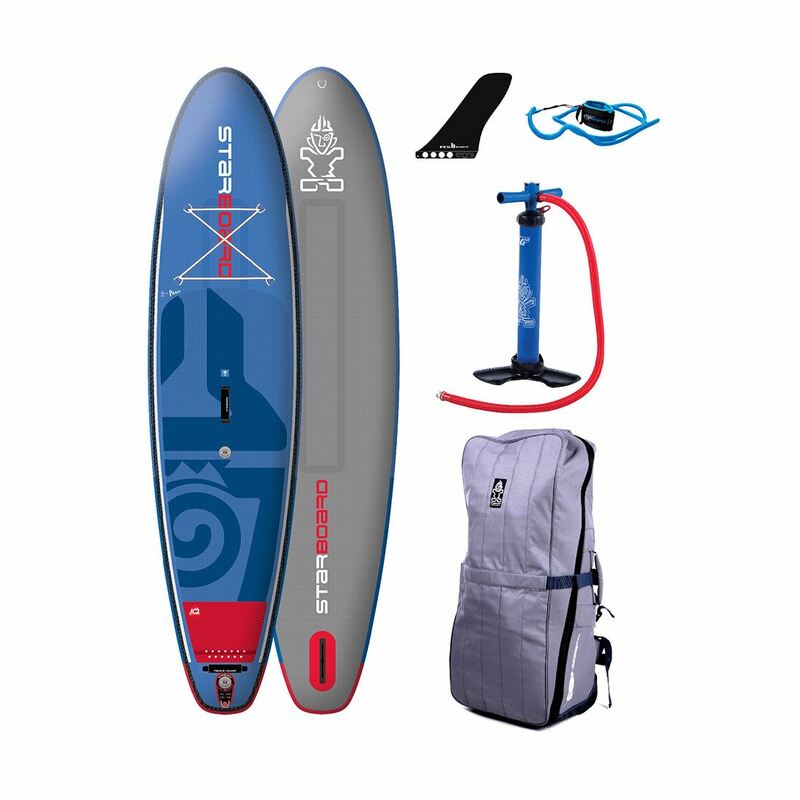 So full specifications for these boards, the Maliko is 14′ long, is 27″ wide, is 6″ thick and it gives it a volume of 357 liters. 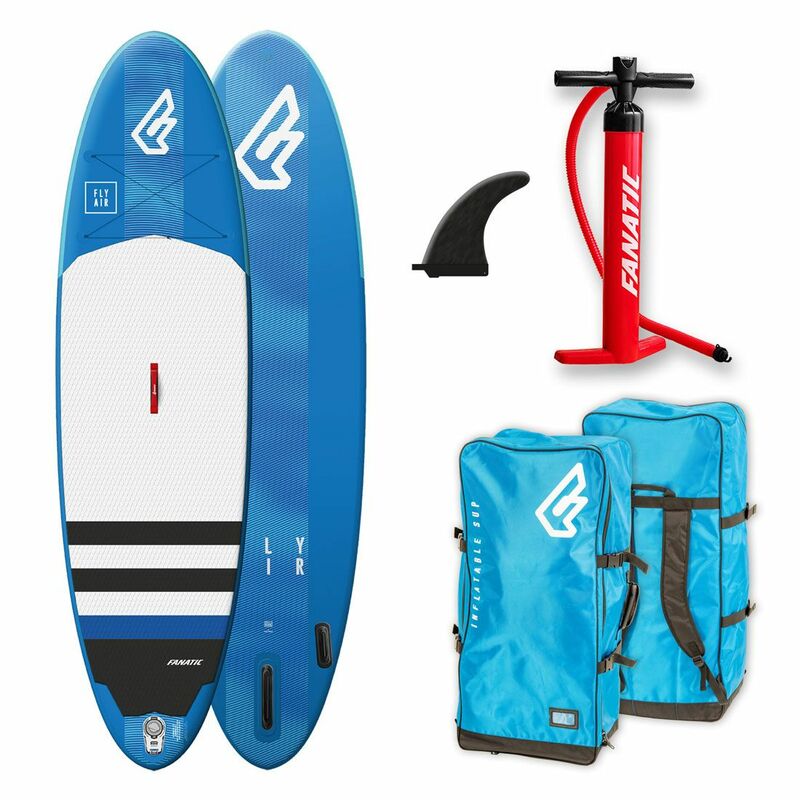 It weighs just over 13 kgs (28lbs), and it comes with a single US box fin. The retail price is £1349 or $1529. 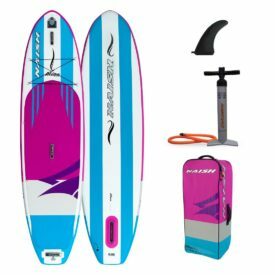 The Glide is 14′ long, 30″ wide, 6″ thick and on the internet it says it has a volume of 327 liters, and it weighs 12 kgs (26lbs) exactly when we weighed it and it comes with a single US box fin. The retail price on the Glide is £1049 or $1199. Now the board’s made up of very different stuff this year, internal core of drop stitch and then it’s got a fusion layer around that, double layers on the rails and both boards have got the hydro slick edges and the Maliko has the extra stiffening of the double carbon stringers on the top and the bottom of the board as well. The carry handles are really comfy and well positioned around the board. On your touring board you’ve got central carry handle, carry handles on the side and then you’ve got them up at the front and at the back which is great for getting in out of the water. 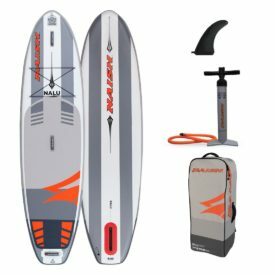 For the Maliko, the race board, you’ve got them set up in a more race format, you’ve got your central carry handle and then you’ve got them a bit further forward so if you’re doing a BOP style race, running up and down the beach with your board etc. 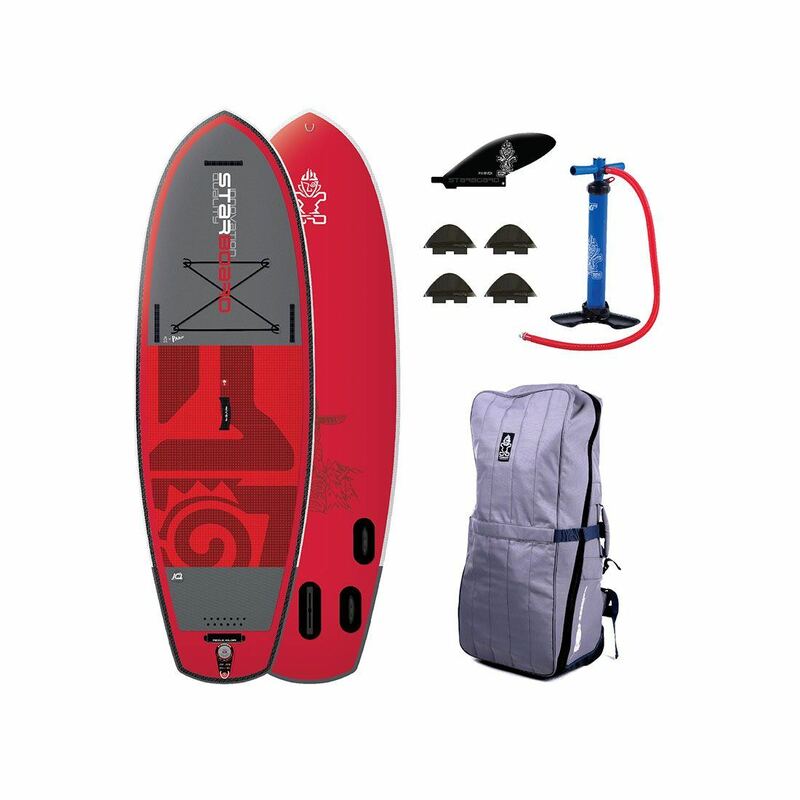 Both the boards come with bungee straps up at the front, except on the Glide, you’ve got a much bigger bungee system up at the front, so you can get more gear under there. A smaller, more stripped-down bungee system on the Maliko which is really designed just for putting in your flip-flops or when you’re going for a bit of training just having a lightweight coat or something under there. And the Glide also has extra bungee straps at the back there, so you can load it with a bit more weight when you’re going touring. Looking at the outline shape of the boards. Both of the boards have a very similar profile really, the Glide obviously is wider because it can handle a bit more weight, and the Maliko is thinner to prevent drag and be faster when it’s going over the water. The rocker line, which is the curve of the board from front the back, the Maliko is definitely the flatter rocker line board, a small amount of nose kick just to get your over a little bit of chop, but flat all the way to the back of the tail. Just there to help the board paddle as fast as possible over the water. The Glide, a little bit more nose rocker and maybe a tiny bit of tail kick just so if you’re putting weight on the board the nose doesn’t dig in so much, allows you to paddle it in more conditions and obviously choppy or water states. Both the boards are 6″ thick and they both come with the hydro slick edge which is by far the coolest way of saying a plastic edge at the back of the board. All that does is it helps the release of the water, as the water comes off the back of the board it doesn’t wrap up around the rails or the back and it just makes the board way quicker to paddle and I have more glide in general. Looking at the bag and pump it comes with. Really liked the look of the bag, I love the colorways, I liked the font and the graphics that we’ve got on down the bag, looked really smart and it does make it look like it’s worth a lot of money and there’s a lot gone into the board with the sort of graphics stamped on the front of the bag. Orange and gray, really neat. Love the orange wheels, they’re smart. And it’s a very soft but hard wearing material. Nice chunky zip, which is really easy to get the board in, It is padded, but it’s definitely not as padded as some other bags on the market. You got your shoulder pads, but you haven’t got any padding really at the back there, so it’s a little bit more stripped down on padding but it’s a very well made tough looking bag. Now when we put these boards on our deflection test, which is where we put them on a gap of 1.5 meters apart, and we put 75 kgs (165lbs) of weight on the center, and then we just measure how much this drops. And we’ve done it with all our iSUPs, so we’ve got lots of different measurements which is great to refer back on. The Glide, which is the drop stitch fusion board but hasn’t got the carbon, dropped 12 mm, which is actually stiffer than most 6″ thick boards on the market, and it can easily hold its own with the boards that have got stiffening rods and extra bits of cable with them as well. They’re a little bit stiffer, but this board is a stripped back board in effect because it hasn’t got the carbon, but it’s still very stiff at 12 mm. So what happens if you have this board and you put carbon stringers down the top and the bottom, well, I can tell you now, you have the stiffest board we have ever tested. The deflection on this board came in at 7 mm. Now that is a very stiff board, and the really interesting thing is when we did our deflection test, we did it at 17.5 psi and 20 psi, and there wasn’t a measurable difference in the two pressures. So that’s really interesting, and it shows you how well the carbon stringers and how much they’re doing a really good job on the board. So it’s clear to see that Naish put a lot of work into these boards, and it’s clear to see in the results and when you’re paddling it, you really can feel the stiffness in both of these boards with or without carbon stringers on them. 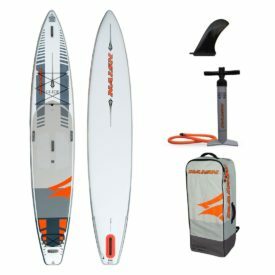 Now, if you want to find out more about the deflection tests and other results on other boards we’ve tested, remember to check out SUPboarderpro where we’re going to be talking about these boards and comparing them to your other race boards that we’re going to get questions about anyway. So if you want to know about your Red Paddle Cos, about your Starboards, just check out SUPboarderpro video. So moving on to talk about what it’s like on the water. Both boards have got a similar feel on the water. The Glide is more stable because of its width and the Maliko is definitely the fastest board to paddle. We did some speed tests with GEOSUP and the Maliko sits around the midpoint when it comes to speed compared to other brands. So it’s not the fastest board on the market but then that really gets me thinking about stiffness versus weight, because they’re not the lightest iSUPs on the market. There’s a lot of materials in there, obviously the more materials you put in an iSUP, the stiffer the iSUP will get, but then obviously the heavier and the harder it is to paddle on, the less glide it’s going to have because you’re trying to push that heavier board along the water. It’s a really hard question to answer. It’s probably one we’re gonna have to push over to Bryce Dyer to really get technical and get some hard facts about whether a stiffer board or a lighter board is faster. And when it comes to doing speed tests, there are so many variables on the day. What the water state is like, what’s the paddlers condition like on the day, how hard they are paddling. We try and reduce as many of these variables as possible when testing, and ideally testing all the boards on the same day in the same locations is the best thing to do, but when that’s not always possible it usually comes down to a bit of reading and a bit of a gut feeling of how fast you really feel the board did paddle. Definitely with the hydro slick edges, the board does have a good amount of release, a nice amount of glide and you can really feel that they do work and help the board move faster than if they weren’t there. But as I said, the Maliko isn’t the lightest race board out there, but it is definitely the stiffest and when it comes paddling in choppy water, stiffness is really your friend. Having a board that stiffer so as you hit chop it doesn’t flex or slow you down, it’s just quicker and it’s going to use less energy so you’re gonna be able to paddle further and faster. 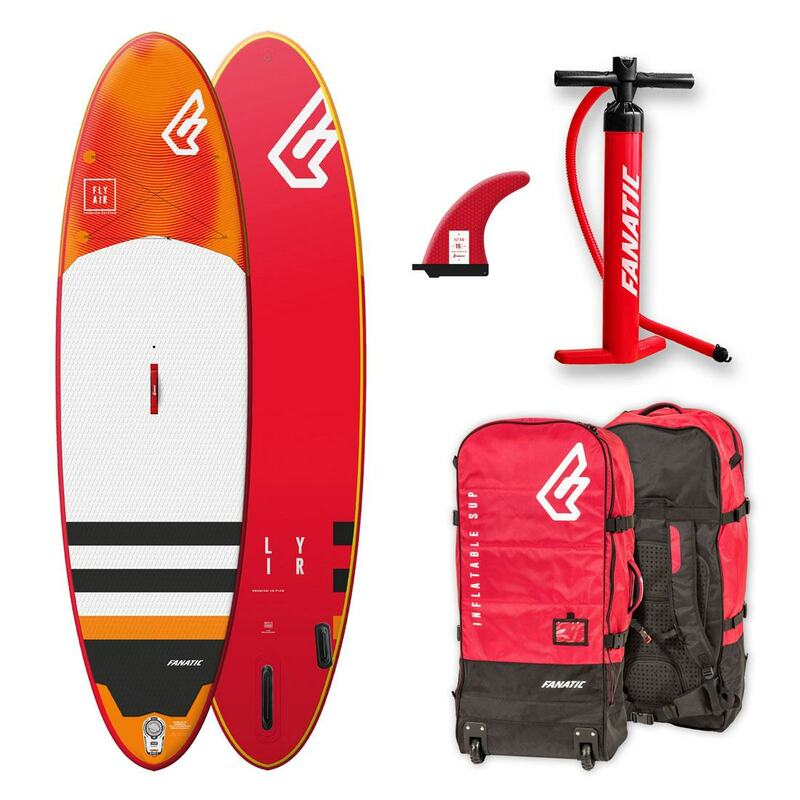 So stiffness when it comes to moving water, open sea states, down winding or just using your board in choppy conditions, it’s way better if you have a stiffer based board. And you can feel that effectiveness just from jumping on the Glide to jumping on the Maliko. That being a little bit stiffer, the Maliko is just quicker to paddle when it gets choppy. But really the Glide is way happier at carrying weight than the Maliko. Just having a little bit more width allows you to put more weight on the board, and it just gives you a bit more stability compared to the narrow Maliko. So who do we think they’re best for: weight, ability and usage? Well the Maliko is aimed at a slightly more confident paddler wanting to paddle as fast as possible. It’s a full-on race board. You could tour with it, but really it just wants to paddle as fast as possible. 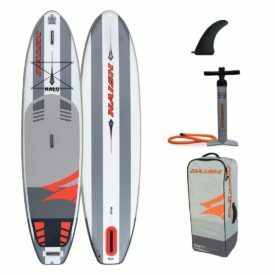 It’s very responsive, you can easily put your step back turns in, the board comes up straight away, that’s again because of the stiffness, and obviously if you’re tuning the board forward and back in choppy conditions, again it’s way more responsive because of the stiffness of the board. Weight range: up to about a 115 kg (250 lbs) paddlers are gonna be super happy on that. You might be able to get on a little bit more weight on there, but you’ll find that the width of the board might be become more of an issue. The Glide is more of a user friendly size, shape and board. A little bit wider, similar sort of glide to the Maliko, not as much glide because of the width, but just way happier putting stuff on there. It’s going to be ideal for touring, cruisers, proper full-on tourers and people dabbling into races. Paddler weights up to about 120 kgs (265 lbs) you’re gonna be quite happy to get on this board because you’ve got the extra width. So to conclude. 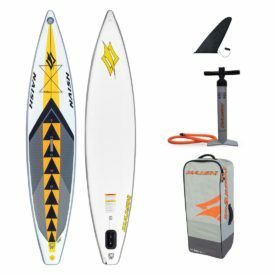 Pros and cons and value for money for both the Glide and the Maliko. So pros: top end materials, top end design has gone into both these boards and you can really see when you’re standing on them the stiffness with both of them is outstanding, but the Maliko is really pretty amazing. Cons: the pumps are a little bit small for the boards. They do pump the boards up absolutely fine to the pressure and you’re going to find you’re not going to be too fatigued, but it does take a long time because they are a relatively small pump. But to be honest, that is a problem with a lot of other brands now it’s not just Naish, it’d be nice if Naish could offer a bigger, maybe a larger cylinder pump to get these bigger boards inflated just a little bit quicker. The fin that comes with both the Maliko and the Glide is a plastic sort of heavy duty, quite a nice profile based fin and it’s going to get you going in a straight line, but it’s a shame that the Maliko doesn’t come with a nice carbon or glass fin. 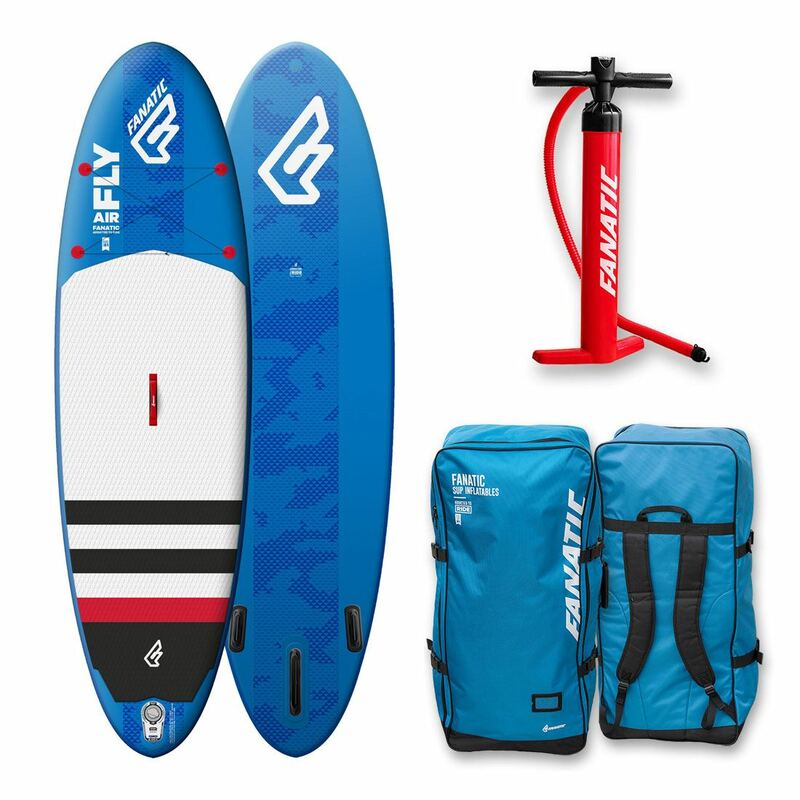 I mean this is a top end race board, a top end race board, and if you want to have a iSUP and paddle as fast as possible, this is the sort of board you’re going to be looking at and I think having a plastic fin personally for the price point, lets it down a little bit. So you are probably going to end up upgrading the fin if you’re taking this board to the races. And if you’re looking at taking the Glide properly touring, you might find that the back bungees, the rear tie-downs are a little bit far back and it’s a little bit small, they could be a little bit bigger. I mean an extra bungee up here would be great because then you can have the same size bungee strap as at the front. Because this board can take the weight. So it’s a shame that that’s probably not quite put on there for the extra level or the high level tourers out there. Value for money: well when it comes to a stiff iSUP for racing, you are not going to find a stiffer iSUP at the moment on the market, and it sits at exactly the competitive price point to other very stiff price points. When it comes to touring iSUPs, you have a lot of choice out there and the Glide is sitting around the mid to high price point, but like it’s super stiff brother, it is packed with good materials and it is pretty stiff for its construction and it really is ready, almost perfectly ready, to set you up and take you places. Click through here for the full Naish 2020 inflatable stand up paddle board range. 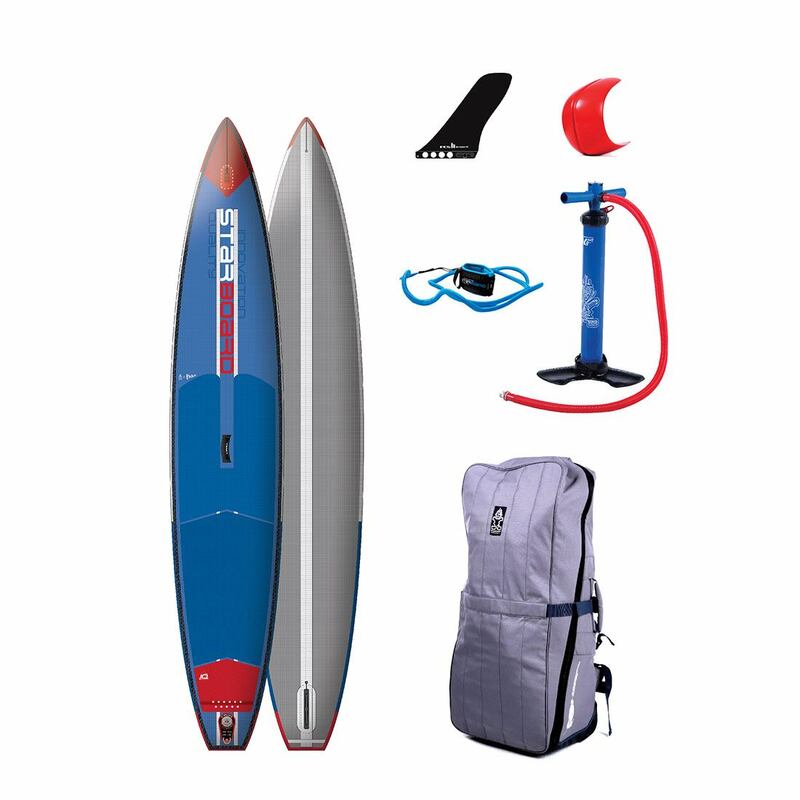 Or head straight to the Naish Inflatable Maliko 14′ x 26″ Carbon Fusion or Naish Inflatable Glide 14′ x 30″ Fusion below. Posted on March 28, 2019 by Julian Kidd. Thanks! Purchase and checkout was so easy. 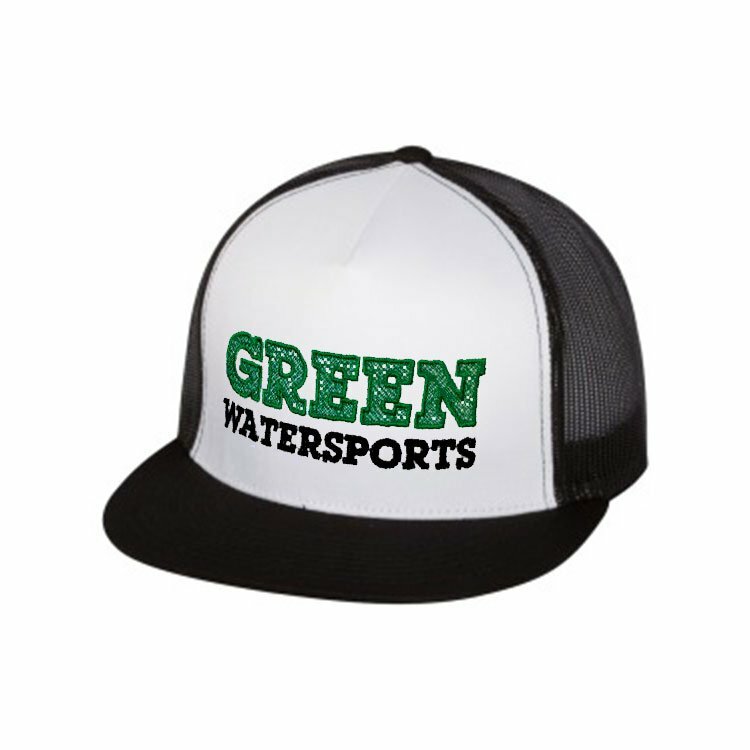 I won’t hesitate to use Green Water Sports if I need anything in the future. Thanks again for the quick shipping and good service! Ted YRed Paddle Co 9'6"
Thanks Julian… Thanks for putting the time into this. Much appreciated. A day early I might add … PERFECT! Thank you sooooooo much for the best service ever Julian! Really appreciate it!! !